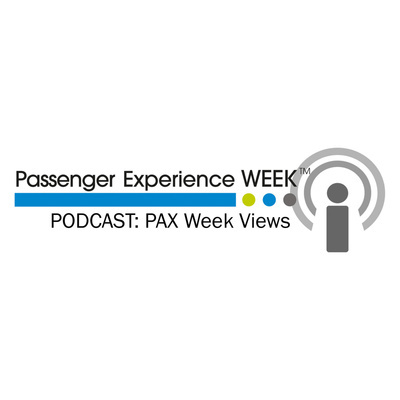 Welcome to PAX Week Views - a Passenger Experience Week podcast dedicated to exploring the future of the global passenger experience industry. The third episode of the Passenger Experience Week podcast - PAX Week Views - features guest host Gillian Jenner, Editorial Director of the Passenger Experience Conference and John Tighe of JPA Design. Join them as they discuss how passenger comfort and wellbeing is evolving cabin design and get a sneak preview of John's upcoming Passenger Experience Conference session: 'Sleep - the New Differentiator'. The second episode of the Passenger Experience Week podcast - PAX Week Views - features guest host Julie Baxter of Onboard Hospitality magazine and Ariane Van Mancius of the food and packaging consultancy, Now New Next. Join them as they discuss the trends impacting the airline catering industry and how the habits, hang-ups and influences of today's Generations Y and Z are re-writing the rules. The first Passenger Experience Week podcast - PAX Week Views features our guest host, Murdo Morrison of Flight Global and Boeing's Blake Emery and PJ Wilcynski as they discuss the future of cabin interiors and reflect on 20 years of Aircraft Interiors Expo.